Your First Step to Investing -Saving! INVESTING, as others say, is the secret of the rich. The sad thing is that in the Philippines, only a fraction of 1% of our entire population are actively involved in our own stock exchange, compared to higher figures in our neighbor countries. And while many are enticed, few are only able to manage and make the first crucial steps to move on, oftentimes justifying their stagnant motion with a thousand lame excuses. What exactly do you need to do to make the ball start rolling for you? Unless you inherited a big chunk of cash from your rich parents, one needs to save money to start investing. It’s very straightforward why – investing involves buying of stocks, and one needs money to buy anything. The main difference though is that in investing, you buy an ASSET that can work for you, unlike in just buying anything that easily deteriorates in value through time. Others call this saving activity as “Paying yourself first”. It only means that you set aside a part of your income for yourself, before you even pay the rest of your expenses. which is the operating system of a wiser man. With the second equation, you adjust your lifestyle to what’s left after deducting your own fair share of your income, unlike with the first set-up that practically leaves a diligently working man nothing to save because of his uncontrolled expenses. During college, I practically had nothing to save. In fact, I am very thankful for my scholarship that enabled me to finish my studies. It may not be an exaggeration if I would say that I might have not finished my college education if not for the scholarship I received. My tuition every semester was fully paid. My expenses, I got from my monthly stipends, which oftentimes came late. There were times when I was short of budget, thanks to friends in the rescue. My life was very simple then. Or I should say my life was made simple then. Until I finally graduated, and shortly landed on a job. I started working last year, and since the time I have learned the value of financial literacy, I have never failed to save. Every payday, I would immediately set aside a part of my salary to pay myself for a month-long of work and add it to my investing fund. I did it religiously, until it became a habit, the stage at which that task becomes effortlessly automatic. When I also receive money aside from my paycheck, I equally set aside a portion of it and infuse it to my investing account. Any amount that I don’t need I throw in my investing account. In my undergrad studies, we have this type of chemical reaction we call ‘autocatalytic’. That may sound nerdy, but it only means speeding up the process/reaction by the produced product itself. As a consequence, more and more are produced as the reaction progresses. Similarly, I realized saving also has some autocatalytic nature. In my experience, saving may appear boring at first, seeing very small impact if not none at all. But once you see your savings growing month after month, you’ll get more excited to save and add more. 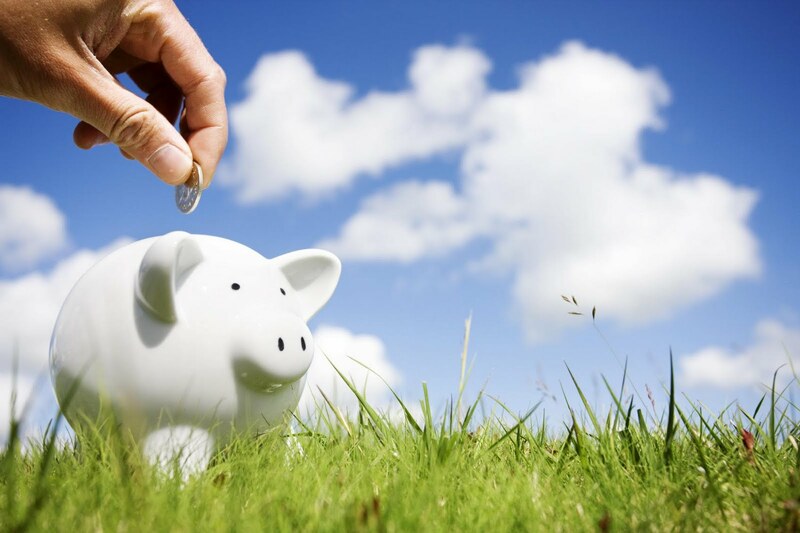 The result that you see adds to the drive why you should continue the habit of saving. One common hindrance wall on saving is not to have something to save at all. They would argue the difficulty of saving reasoning that their income is even not enough for their daily needs. Here comes the useful advice of T Harv Eker in his book Secrets of the Millionaire Mind. 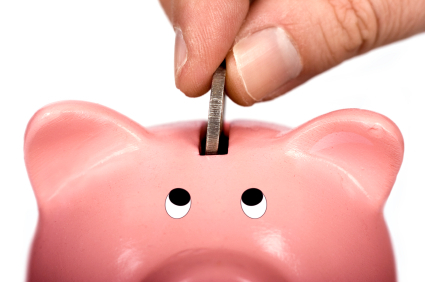 He suggests to practice the act of saving, even if it entails a very small amount, whether 100 pesos, or 50, or 10. Or even a centavo. The point is the solidification of the habit, continuously training your mind and character. As one author says, we are all creature of habits, which are a thousand more powerful than our thoughts. So focus on the habit and just increase the amount you save once your income increases. Blessings will then rain on anyone prepared! Back to saving, I originally planned my savings to be my retirement fund, (just like what’s advised by Bro Bo Sanchez). An officemate actually laughed at me when I shared to her that plan of mine. And I realized that doing this preparation at this early point in time, it’s very probable that it can serve for more than my retirement needs. Maybe, once I have acquired enough capital and knowledge in trading, I would probably source out some of my expenses from any profits I would get from the stock market. But while I am still in the early part of the journey towards that, I have to consistently remind myself of my playful dreams to push myself in action. I am too excited to have my own farm. I really picture myself living at the middle of a vast wide field. In fact, if God would allow me to choose my way of death, that would be a sudden death while I am lying in a cradle tied between two trees. I have also decided to not only think of myself and the people in my life. Many are in more dire need of assistance, pushing me to earn more so I can help and bless even more. For months now I’ve been writing in this blog which I started as my way of giving back to the entire world how blessed I am knowing this money machine. I am joyful being a faithful steward of blessings God pour down on me. Next month I’ll be celebrating my first anniversary of playing in the stock market. While I learned a lot for my finances during that year, I am also aware that I still have fields of rice to eat in terms of my investing knowledge. I am just so happy that I am making small but sure steps toward achieving my goal of financial freedom. I am also equally in high spirits knowing that some of the people and friends reached by my blog have also made their first steps toward achieving their own financial goals. Their own stories are more than enough to inspire me more and keep on sharing my journey in the stock investing world. And these are ordinary people also starting small. PS: I would never have the courage to dip to this cold water without anyone holding my hand. Thanks to the Truly Rich Club, guiding me in every step of the way! PS:This blog now has dedicated pages for click-by-click tutorial for beginners. If you have a relative or a friend whom you want to introduce to the world of stocks investing, you can direct them to below easy-to-follow tutorials. Even grade-school children should understand that, so konting kalabit mo na lang kelangan. Help them realize what they’re missing and they will thank you for that in the future. Your story reminds me of the Parable of the Talent, which teaches us how to be faithful with what God has entrusted to us however little it may be. I agree that when you give back, you gain more. When you stop giving, you stop receiving because giving is a cycle. Thanks sir Omeng for this very inspiring story. loving all your posts. very inspiring! you are a chemical engineer? Thanks sir Omeng! Very inspiring story.